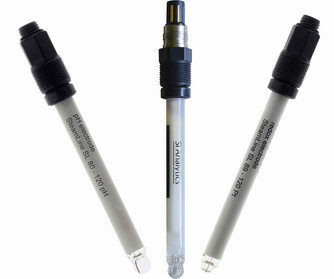 The reference electrode with gel electrolyte is pressurized for long-term stability. Proven pH glass for very rapid and stable response behavior of the pH glass electrode. Suitable for even the hardest conditions of use, including CIP and SIP. Many different versions of the SteamLine sensors are available, with installation lengths of 120, 225, 325, 360 and 425 mm. For pH sensors you can also choose between versions with and without built-in temperature sensor, where you again have the choice between Pt100 and Pt1000 versions with VP screw heads.